The Sony PS5 fightback against Microsoft's Xbox Two continues to gather momentum, with a dramatic new leak bolstering the Japanese maker's covert operation to outgun and outmanoeuvre the console codenamed Xbox Scarlett. That leak? That Sony is said to be working on a game-changing new update for PSN (PlayStation Network) in time for the PS5 release date, which despite what Sony Interactive Entertainment CEO John Kodera claimed, looks increasingly like it will be next year at Christmas 2019. 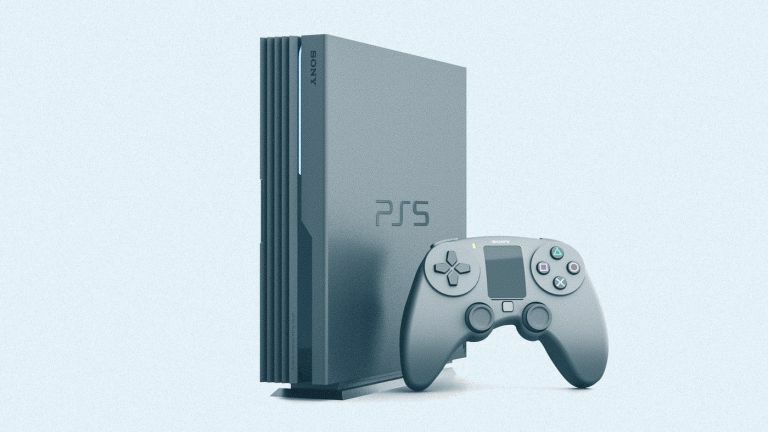 The leak comes via Windows Central writer Jez Corden, who noted on Twitter that he had heard whispers of a major infrastructure and platform update for PSN landing in time for PS5, which is something that now joins wide-spread talk of a PlayStation 5 user interface change-up, too. The above PS5 video, which comes courtesy of tech designer Joseph Dumary, shows how the next PlayStation's UI could look like, with some advanced features like fingerprint scanning unlock, a power-saving Eco Mode, and live background display making a radical departure from the system running today on the PS4 and PS4 Pro. A UI with these sorts of advanced features plugged into that "big infrastructure/platform update for PSN" would be a massive boon for the PS5, and place it in a very strong position when taking on Microsoft's next Xbox, which is slated to come packing its own new Xbox Scarlett infrastructure. The PS5 looks set to come with a powerful new version of the PlayStation Network (PSN). And history would seem to support this radical departure, too. The difference between the PS2's interface and platform infrastructure to that of the PS3 was an order of magnitude, and the same was then the case between the PS3 and PS4. That points to a PS5 shipping with a remarkable new PSN and UI. A new PlayStation 5 equipped thus, as well as a 5G PSP and top selection of the best PS5 games money can buy? That really would be one hell of an assault on the new Xbox, which would have to be armed to the teeth with hardware and features to successfully fight back.